Lily pads are a hiding place for many species of fish, including crappie. Try shaking a lily pad and you’ll see why. Many insects and organisms will fall into the water. Anything will feed on these but more importantly, the small food draws baitfish that draw larger fish. Look across Reelfoot Lake in the hot summer and you’ll see pads for hundreds of yards. Other lakes might have small patches in shallow or back-out areas. So each lake is different with different amounts of vegetation. Fishing the pads can be divided into three or four very basic patterns. The first is an isolated pad. An isolated pad associated with other pads is a good item to fish. The isolated pad will provide shade and a small spot can be dominated by one large or aggressive crappie. Always try an isolated pad. Small patch of five to fifty pads is another great spot to try. This “something different” among field of pads can produce numbers of fish. A hole in a bunch of pads is a key spot. Not only is it easier to drop a jig into but the opening is a place a fish will watch from the shade of a pad. An outside edge is often the first and best place to fish. 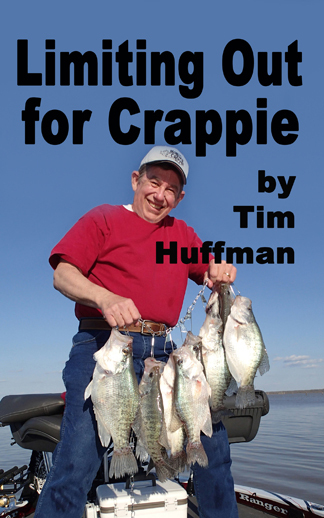 Crappie like edges. 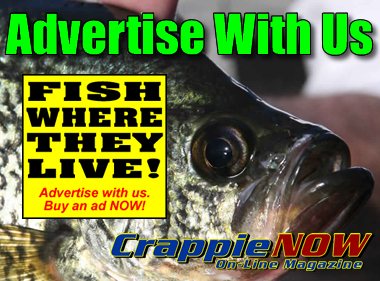 The edge lets a crappie hold in the shade and cover but go out into open water while staying near the cover. A 2014 trip with Russ Bailey to Pymatuning, Pennsylvania, highlighted the advantages of lily pads in a northern lake. We were fishing three to four foot deep water filled with pads. Bailey says pads can be good in the spring, early summer and fall. To catch them he typically uses his BnM Signature Series 10.5-foot pole. He uses the long pole to flip away from the boat or straight down presentations. He believes in an extremely fast hook-set. Equipment includes 6-pound test Vicious line, a 1/32-ounce Road Runner or plain ball head in 1/48-ounce jig, Southern Pro Stinger Shad, Berkley Crappie Nibbles and small teardrop floats. The float needs to be barely large enough not to sink. A wild-card item that works great in the pads is a Power-Pole or Talon anchor. It makes it great to quietly stop anywhere you want by dropping the poles into the bottom. An alternative is a typical anchor you can quietly ease into the water. No matter which style of jig you prefer, sticking with a small 1/32-ounce jig that gives a slow fall will trigger more bites. Fishing straight up and down gives fewer hang-ups. A hook in a pad stem is a problem. Pole length is important to get the bait away from the boat in the shallow water. Always use scent. You’ll catch more fish. Minnows work to catch fish in the pads, but a jig is easier to use. Everything is behind due to a colder than normal February and March. Pymatuning, and other northern lakes, should be prime-time right now through June. Middle states should be in late spawn to post-spawn. Factors Wind: “Wind can be an enemy or a friend,” says Bailey. “A wind can be bad but use it for an advantage. Wind will push baitfish into the pads. Creating more active feeding fish. Also, the pads will buffer part of the wind. A light ripple wind is good to make fish less spooky. Cold front: Cold front will be tough for shallow fish. The fish will still bite but will be slow. Clouds/rain: An overcast day will spread fish out because they don’t need the protection from the sun. Sun: Good for moving fish into the shade. 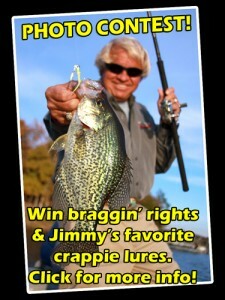 Look for crappie to be tight to the stems. Contact info for Pymatuning Lake is www.visitcrawford.org, Crawford County Convention & visitors Bureau. For Reelfoot Lake visit www.reelfoottourism.com. 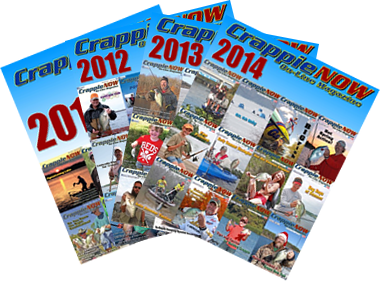 Russ Bailey is a crappie guide and is host for BrushPile Fishing, www.brushpilefishing.com.